We just left the Adirondacks in upstate New York, where we camped on a small island in Lower Saranac Lake and spent the days paddling and hiking. At night, we hung our food from trees--standard practice for avoiding messy visits from bears, racoons and other local residents. 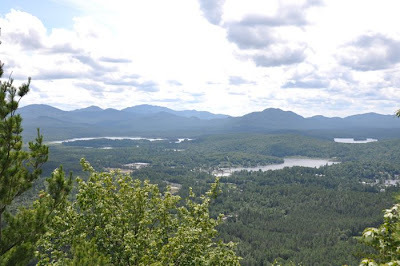 During one visit to a paddling outfitter in the town of Saranac Lake, we learned about the bear-proof containers that are popular among backcountry campers in this area. Then we read this in today's New York Times. 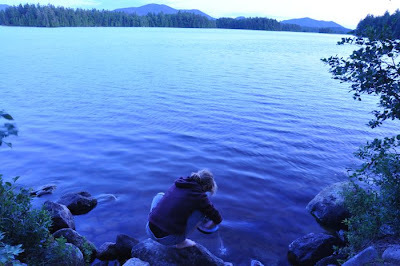 Washing dishes on Hocum Island, where we were camping.